If you use a pocket knife regularly then you are well aware that they sometimes get dull and need to be re-sharpened. With so many sharpening tools on the market, it is hard to know what kind of knife sharpening system to use. Curious about my favorite pocket knife sharpener? Check it out here at Amazon. This guide will give you the information you need in order to choose the system that will work best for you. Step 1: You must raise and remove the burr. To form a burr, you grind one side till a burr is formed. Then to sharpen the knife, you evenly grind both sides of the blade until the burr is removed and the knife is sharp. Applying pressure to both sides of the blade evenly while grinding off the burr is important, if you want to obtain maximum sharpness. Step 2: Consider the Angle of the Sharpened Blade. The angle of the sharpened edge of the knife is important to consider as well. Both sides should meet at the apex of the blade and slope to each side evenly in order to produce the maximum cutting efficiency for each individual blade. What Kind of Sharpening Systems are Available? Each individual will have a preferred method of sharpening their own knives, but it is good for you to know that you do have different sharpening options available if you are a novice or if you want to try a different sharpening method. There are only four different kinds of knife sharpeners and each has its advantages and its disadvantages. These are precision devices that are made to sharpen your knife for you so you can save some time and effort, but do not get knifes as sharp as some of the other systems do. This knife sharpening technique relies on nothing except a whetstone and muscle memory to guide the blade across the stone to create a sharpened edge. The Whetstone grinds the metal to make it sharp, but with this method there is no way to stabilize the angle of the sharpened blade. It is easier to cut yourself with a whetstone. It also takes practice in order to develop the muscle memory necessary to do it properly. This is the most difficult knife sharpening system to learn to use, but is capable of getting knives the sharpest possible. This is the most difficult knife sharpening system to learn to use, but is capable of getting knives the sharpest possible. You can buy all kinds of devices to help you manually sharpen your knife, but they are not as effective as the whetstone and you are still doing all the work. This includes items such as belt sharpeners and wheels. Pull through machines use two carbide tipped steel pieces that are precision welded at a specific angle. As you draw the blade through the device it is designed to sharpen both edges simultaneously. Each piece of steel is set at a permanent angle and may not be capable of sharpening the blade effectively as other methods. These devices are good for those who may be more prone to injury, children and those wishing to sharpen their blades in the field quickly and with minimal effort. These tools are easier and quicker to use than a whetstone. These devises are all electric or battery operated. They feature a V-shaped groove to slide the blade into to sharpen it. They are designed for speed, comfort and ease of use. These are the most expensive of the sharpening systems, but also the easiest and most convenient. It is safe because it is hard to accidentally cut yourself using this system. The disadvantage is that these systems still cannot get the blade as sharp as you can get it by using a whetstone, and they grind a lot of extra metal off the blade. Freehand or Automated Sharpening Systems. Which one suits you best? Different people will argue that freehand knife sharpening is superior because you can get a sharper blade. Others argue that automated sharpeners are superior due to their speed and ease of use. A few people compromise and use a manual tool such as a pull through which is similar to the way an automatic sharpener works, but is manually operated. Ultimately it seems that the best method depends on the type of steel your knife is composed of, your comfort level handling knives and how much time and effort you choose to put into sharpening your blades and where you plan to use the sharpener. Recommended Resources List for Choosing a Good Knife Sharpener. Knife Planet is a great website that provides a guide that tells you all about how to choose a good knife sharpener. It also explains how to sharpen your knife. There is a whole e-book that describes materials knives are made from and how to select and use good knives as well. The Naniwa Chosera System was developed in Japan and was originally designed for people so that they could use the stones to sharpen their swords. This Knife Sharpening System is a completely manual freehand process using a series of two whetstones that have different grits. There are two each of the 400 grit and 600 grit stones that come with this set. These stones need to be wet before they can be used. This is an incredibly effective system for sharpening all your knives. There are many other stones of different grits available from the company so you can get any finish you may be looking for by selecting the correct grit stone to use. This is a good base kit that would be useful for sharpening most blades. It makes you feel more connected to the blade you are sharpening. It can be soothing and relaxing. You cannot get blades as sharp with any other method. Easily carry the sharpening stones with you anywhere. 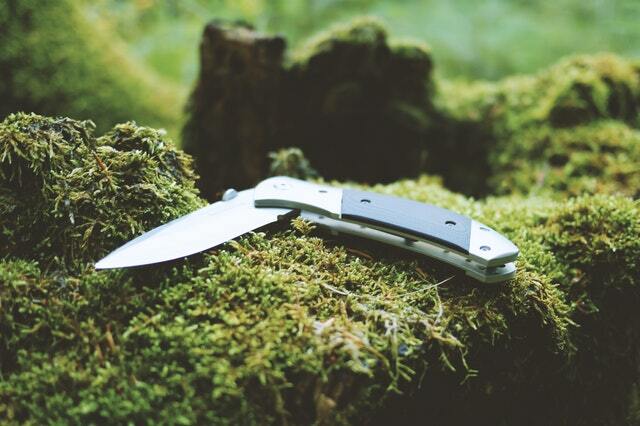 Never need to worry about a dull blade if you are out in the wilderness and away from your sharpener. This is a time consuming way to sharpen your blade, because it is all manual. It would be easy to lose one stone which would make the sharpening system less effective. There is no way to control the edge angle of the sharpened blade using this method. It would be easy to cut yourself using this method to sharpen your knife. This method takes a lot of practice to develop the muscle memory needed to sharpen your knife effectively using this system. The Wicked Edge Precision Sharpener is my favorite pick for keeping pocket knives sharp. This precision engineered manual knife sharpening system from Wicked Edge is great for professionals but simple enough for anyone to learn how to use. It comes with 8 different diamond stones in 4 different grits. You can adjust the angle of your blade with this machine. It comes with tools to help you precisely align your blade for maximum sharpness. It comes with a knife brace that can help stabilize your blade if it is too flexible. The base is sold separately from the main unit so you will need to mount it to something or buy the base. Check out the Wicked Edge Precision Sharpener at Amazon. The system is safe and easy to use. It would be difficult to cut yourself using this system. It can get your blades very sharp. You can use this machine to help you precisely control the angle of the blade. It provides a mechanism so you can make micro adjustments for more precise control. This system provides a large variety of stones you can choose from. You can produce a beautiful, clean, beveled edge with this machine, every time with this machine. Anyone can learn to sharpen a knife easily with this system. This is a very expensive system if you are looking for a pocket knife sharpener. Has a limited ability to completely sharpen some pocketknives when you get close to the fold. Hard to provide a consistent edge on thin or narrow pocketknife blades; it is more effective on larger knives. The system is complicated and would be hard for a novice to completely understand, even if they can learn to sharpen a knife on it relatively quickly. May be difficult to set-up and learn to use without someone walking you through it. The system is designed for professionals. The Apex 4 knife sharpening system is designed for professionals. It includes whetstones with five different grits (110, 220, 400, 600, & 1000). It also includes ultra-fine grain tapes in both 2000 grit and 3000 grit so that you can get the perfect finish. This system is simply designed so anyone can just use it without special training or experience; it even includes an instructional DVD to show you how to set it up and use it. It measures the angle so you can set it the same way each time you sharpen your knives. The stones used by the system are inexpensive to replace. This is an easy to use system. It does not dull over time and will give you a sharp edge every time. This sharpening system has a high quality construction that makes it very durable. The system can use a variety of stones that are readily available. Additional stones are very inexpensive. This system features a special attachment so you can use it to sharpen you scissors as well. The company provides excellent customer service after purchase. With this sharpening system it is possible to get a mirror finish on your blade. This sharpening system is expensive. You will need to sharpen your pocket knife before you left home, because the system is bulky and cannot be carried with you. 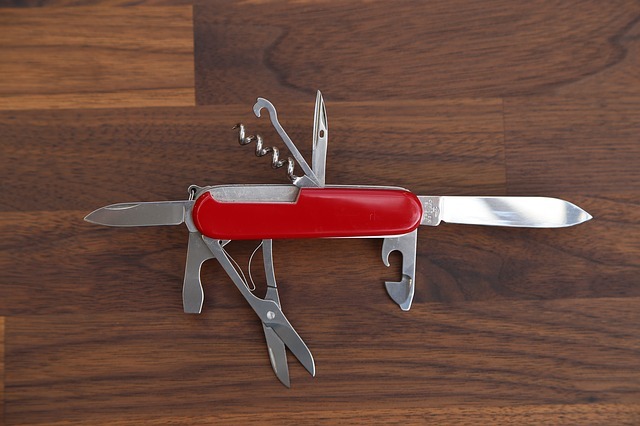 You can get into trouble if you pocketknife breaks or dulls while you are away from home. It uses the same technology as a simple whetstone, but is much less versatile. It is difficult enough to set-up and use that it comes with an instructional DVD to show you how to do it. The Redi-Edge Tactical Pro Knife Sharpener Set is made from lightweight ceramic coated aluminum. The set includes three sharpeners. They feature hard durable cutters that can be rotated, removed or spun to create four different cutting angles. This technology has been patented under the trade name Duromite. This versatile system was developed for use by the Army Rangers in 2001. A carrying case is included to hold all of your sharpeners. Check out the Tactical Pro Knife Sharpening System at Amazon. The very small size makes the sharpener very easy to take with you no matter where you go. Set comes with a sharpener for 30 degree angle, 40 degree angle and 60 degree angle. The blade gets the same edge every single time. It is a quick, simple, easy-to-use system anyone can do. It only takes a few stokes to get a sharpened edge each time, so the system is fast. The ceramitized coating gives the sharpener more durability and added protection. The cutter is harder than the steel knives are made of, so it can sharpen any knife. It polishes and hones at the same time, with minimal effort. A V-notch on the bottom allows you to sharpen any hook or needle you may need sharpened. It is made of very high quality materials. It will remove more metal than a stone will. Some people may not be comfortable with a manual sharpening tool. There are no guards to protect you from cutting yourself while sharpening you knife. Much more expensive than a whetstone system. The Sunrise Pro Knife Sharpener makes the Top 6, but it’s not the most practical to take into the outdoors. The SunrisePro Knife Sharpener features a unique patented suction cup bottom so you can easily attach it securely to any smooth surface. Its marketing is mostly targeted toward the home consumer market segment, but it should not be a knife sharper that is overlooked by the outdoor enthusiast. Simple and easy to use; just slide your knife through the sharpener two to three times for a razor sharp edge. The company holds a patent on this sharpening technology and they offer a 100% satisfaction guarantee if you are not happy with the performance of the sharpener. This sharpener can sharpen almost any knife, even curved or serrated blades. It is designed to sharpen a variety of tools, including small pocket knife blades. The sharpener does not dull over time. The company offers a full refund if you do not like the performance. It has a suction cup bottom that will attach to your car hood or any other smooth surface. Because it is small and lightweight, it is very portable. The SunrisePro is very easy to use. It sharpens your knife very quickly. Much more affordable than larger systems. The suction cup bottom would be useless if you are in the wilderness. If you hold it in your hand your blade could slip and cut you. It is made of plastic so it is not designed to endure rugged outdoor conditions. My favorite knife sharpener is the Wicked Edge Precision Sharpener. But it is pricy. So the best of the best pocket knife sharpener has to be the Redi-Edge Tactical Pro Knife Sharpener Set. Many people argue that using whetstones will give your pocket knife the best edge. While this might be true, it takes time to develop the muscle memory needed to use a whetstone properly to sharpen your knife. Not everyone will be able to figure out how to sharpen a knife, if all they have is a whetstone. The Wicked Edge and Edge Pro are both great systems, but they are not at all portable and the vise grip makes it difficult to sharpen smaller or thinner blades on these units. The Sunrise Pro knife Sharper might have won if this was a review of a general knife sharpener, but its limited durability and usefulness in the field is questionable. As a result, the Redi-Edge Tactical Pro Knife Sharpener set is the recommended best pocket knife sharpener available for most people. It is designed to meet the needs of professionals, but it is simple enough to use that anyone can do it. This set is simple and quick to use. It’s a great survivalist sharpener because of the notch for sharpening fish hooks and needles. It is very small, portable and extremely durable. If you’re planning a skiing trip, or you just want a new skiing jacket, look no further than these recommendations. Thanks to the latest designs in camping cots, sleeping under the stars needn’t be uncomfortable. Check out our top recommendations for sleeping cots here. Nothing beats the outdoors, camping and chilling… Except maybe an outdoor camping hammock. If you’re looking for the latest designs in comfort here are our recommendations. I own a fabrication shop, so I have a very good idea of the costs involved in producing items like the Wicked Edge Sharpener. The fact that you will end up paying over $600 for this very simple system is just ridiculous. While the ceramics are expensive, they are nowhere near THAT expensive, and the rest of the gizmo is just a simple stand, knife vise, and an angled, adjustable arm. It’s a shame that WE is so greedy, at half that price they would still be making a tidy profit (and if not, they need to contact me for a production cost analysis) and they would sell like hotcakes, to the average person…instead of a very limited market of professionals and preppers willing to spend that kind of money on a sharpener. The WES would be my first pick, if it were not for the cost. I own the redi-edge system, and agree it is a great SHTF system…but for an everyday sharpener I have to disagree. It is made to sharpen knives very quickly, essentially in a combat environment. While that sounds great, and it is- in a combat environment- the aggressive nature of the system eats knife blades like Pac-Man eats dots. Your Bowie knife will become a pen knife, very quickly. Great write up though, John- Thank you!